When in Romania, go crazy over Selfie Pulla! The song is now a phenomenon and is on top of the charts across Europe. 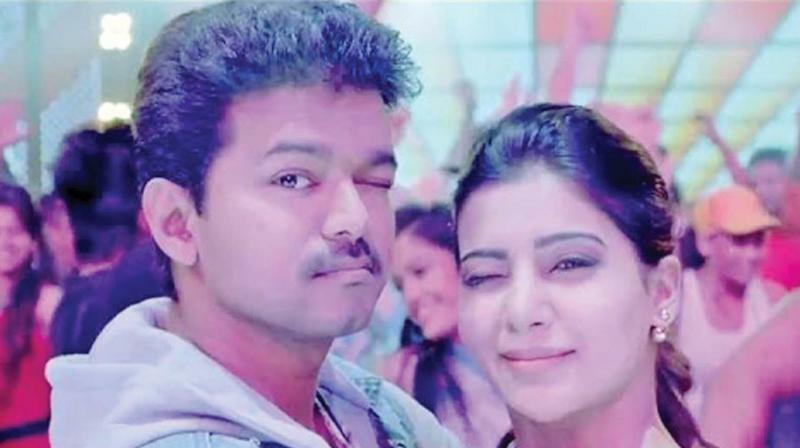 If you revisit Vijay’s sensational hit song Let’s take a selfie pulla... on YouTube, you’re in for a surprise — or you’d be even shocked! As you scroll down the comments section of the video, you’d get to see ones that are in Romanian, showing that the song has become a craze among them now. But, why on earth would they be listening to a Tamil song, which was released almost two years ago? Quite simply, this is one of the most flummoxing coincidences we have ever seen. Apparently, a Romanian TV program aired the song on their channel because ‘Pulla’ refers to a certain male body part (yes, you know the one we’re talking about) in Romanian slang... Thus the translation means ‘Let’s take a ***** selfie!’ We got to know that the song became viral after a Romanian channel called Sector 7, posted about this in their entertainment program called Nimic Nou! The song is now a phenomenon and is on top of the charts across Europe. That makes Vijay a multi-cultural celebrity and we are speechless... Talk about things lost in translation!